Get all your kitchen tools and keep them close with the Cuisinart Barrel cooking tool set! 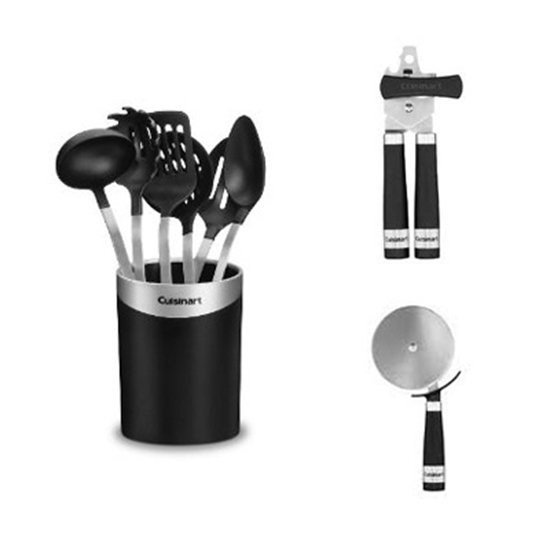 This 7 piece kitchen tool set is designed with stainless steel accents, soft grip nonslip handles and a sophisticated design making these tools a perfect addition to any kitchen. 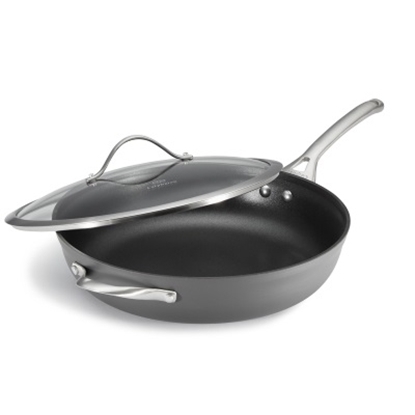 All of these tools are safe for use on non-stick cookware to 425° and are dishwasher safe. This set of Barrel handle cooking tools comes with one of each of the following pieces: spatula, solid basting spoon, skimmer, slotted spoon, soup ladle, pasta server and storage crock. Also includes two-piece Barrel handle gadget set: handheld can opener and pizza cutter.